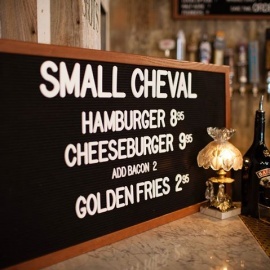 Located at 1732 N. Milwaukee, Small Cheval is a casual, fast-paced joint serving a stripped down menu of the essentials - cheeseburgers, hamburgers and fries. Condiments are provided by Sir Kensington's, a purveyor of all-American condiments made with all-natural ingredients. Guests can swig shakes, shots, beer and draft cocktails, and enjoy a spacious enclosed patio during warmer months. 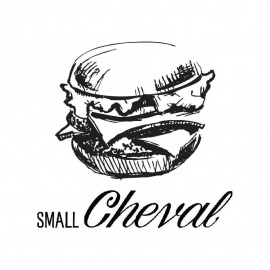 Popular burgers plus shakes, beer & cocktails served in rustic, takeout-friendly digs with a patio.